Hi there! 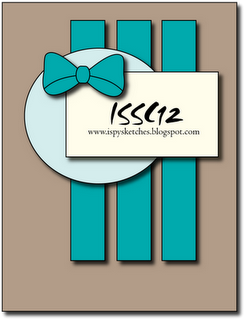 It’s Tuesday evening and I am here just in time to make a post for another Sketch Challenge over at ISpy Sketches. I was so thrilled that I didn’t miss the opportunity to play along. I hope it’s okay that my large flower (circle) is a little bit off to the side…I realized it as I was posting that it’s not covering the 3 panels as much as it should have! oops!! I paper pieced the flower to match the DP. This card will also be entered into the Mother’s Day challenge over at Stamp TV. 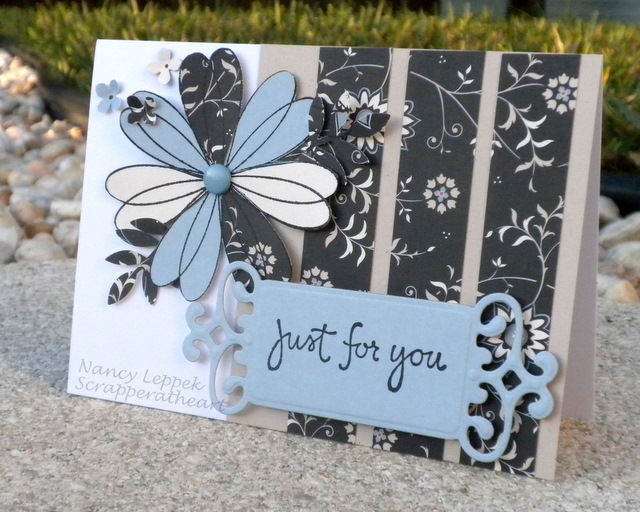 Please go check out this fabulous site filled with talented stampers! Categories: Cards, challenges | Tags: Card making, Cards, sketches, stamping, Thinking of you | Permalink. Love the flower and colors!!! Thanks for playing at I Spy!!! FABULOUS color combo — great job with the sketch! Thanks for joining in at I Spy! Great take on the sketch and I love your big flower! Thank you so much for joining us over at iSpy Sketches!